Boys appear somewhat regularly around here, but Men are few and far between. But TODAY. 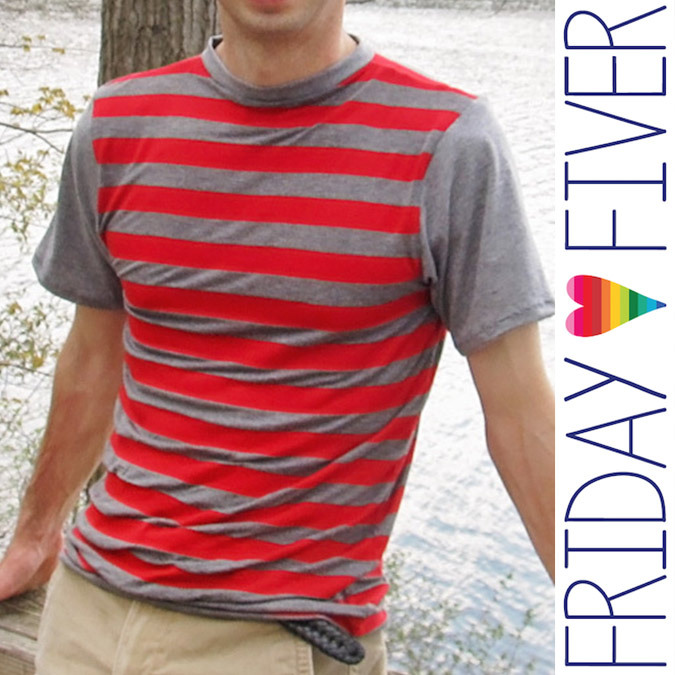 Today’s Friday Fiver is toooootally manly and perfect for gift sewing! 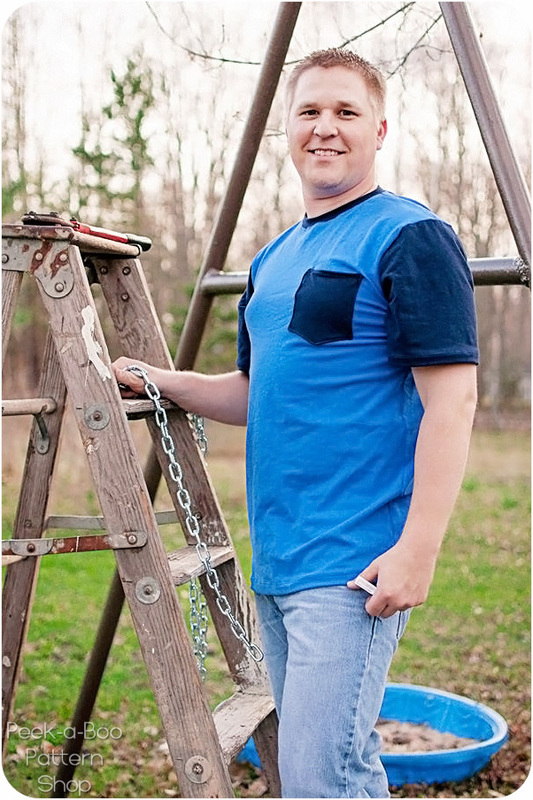 It’s the Tahoe Tee from Peekaboo Pattern Shop! 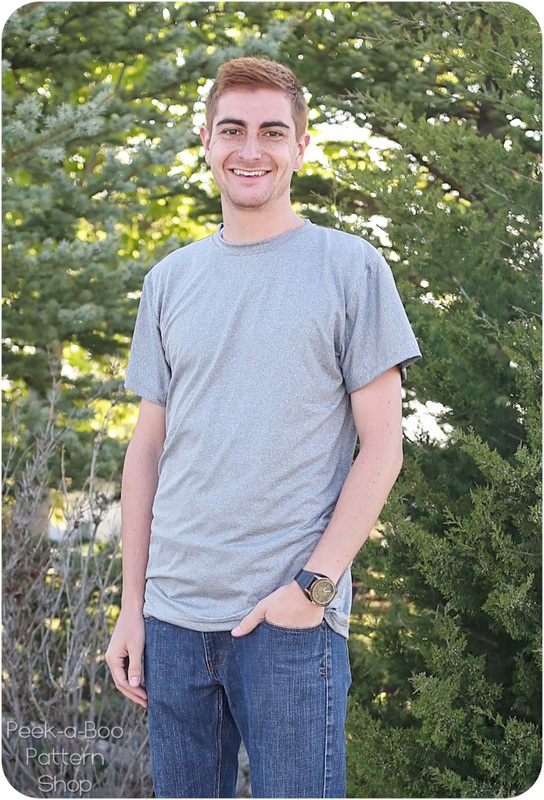 Boyfriends, husbands, sons, nephews, grandsons – they’ll ALL love this basic tee! 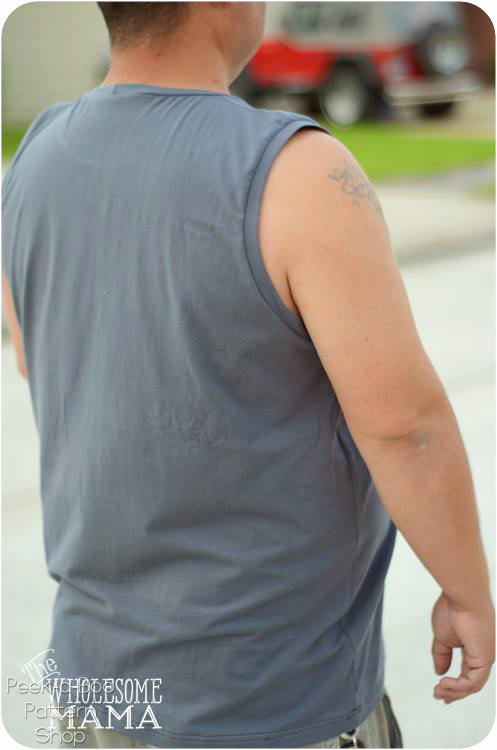 Sleeve options on this basic tee include muscle, short and long sleeves. A pocket too if you like. Fabric choice is really the best way to personalize this. Dudes do seem to like to keep things simple, huh? And simplicity means quick sewing – one reviewer says she can make one of these in just 30 minutes! 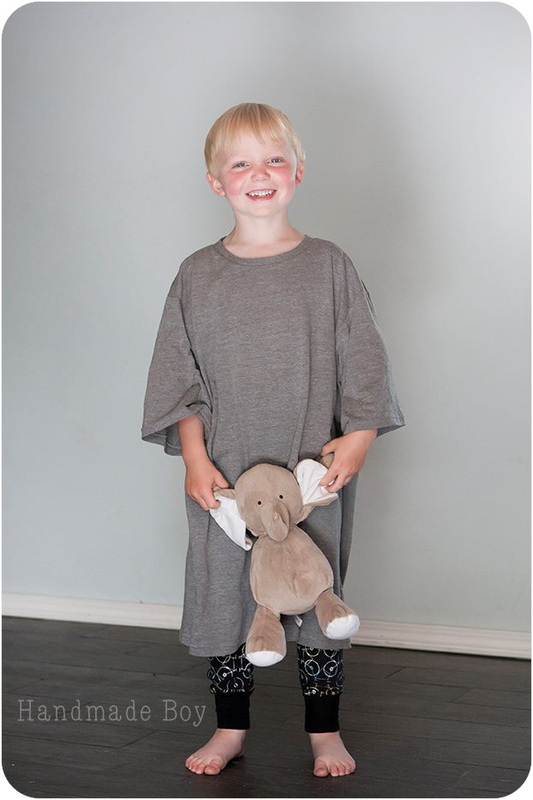 The sizes range from XS-XXL mens, but there’s no reason you can’t make an oversized version for a little guy to wear as a sleep shirt, too. One pattern can cover all of your guy gift sewing needs! « Simple Skirt in Idle Wild Knits!